This home ventilator removes stale indoor air for an equal amount of fresher outdoor air. The FreshEffects™ energy recovery ventilator retains heat and moisture from exchanged air in winter, but pre-conditions and dehumidifies incoming air in summer—so your home is more comfortable year-round. 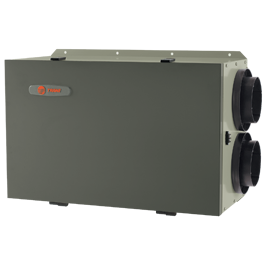 Our home ventilator cabinets are powder-coated, and all component materials are rigorously tested for long-lasting performance and durability.